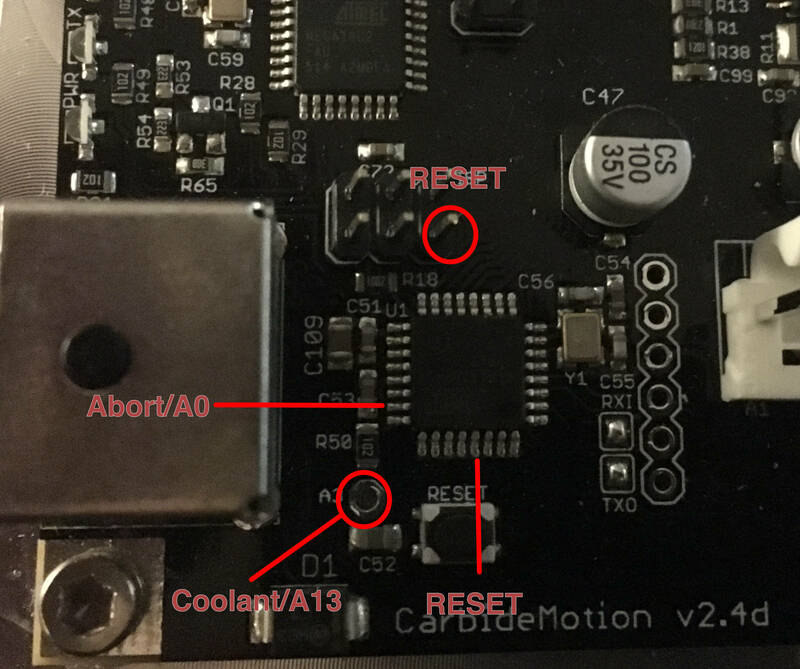 I was scouring the forum and wiki about a month ago looking for information on the v2.3 control board. I thought that maybe, maybe, it might be helpful to someone else to have all of the information I found in one location. Attached you will find a pinout diagram and a reference photo of the v2.3 board. If anyone has any extra information to be added, particularly the identification of the individual pins under “ARDUINO_ISP” and “16U2_ISP,” I would be very grateful if you posted below. I hope this is useful to someone out there. 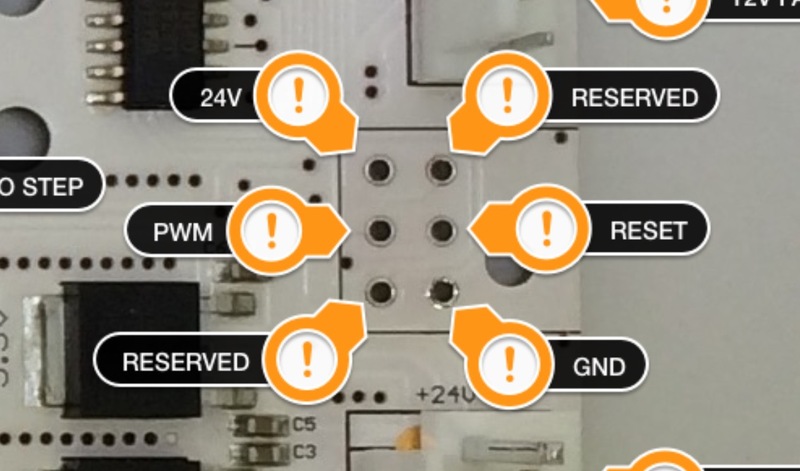 Does the information for the Stepoko board at: https://github.com/sparkfun/SparkFun_Stepoko help? What do you want to know? I’m going to repost your image here, just to make this as complete as I can. “Q2” is not a pin, is the reference designator for the transistor next to that via - I will assume for the time being that via is GND. It appears that the output of this connector is switched (hence the transistor), but I don’t know by what. A3/Coolant would make sense, but I have not verified that. This one: “16U2_ISP" is for the USB interface. You probably don’t need to touch it ever. 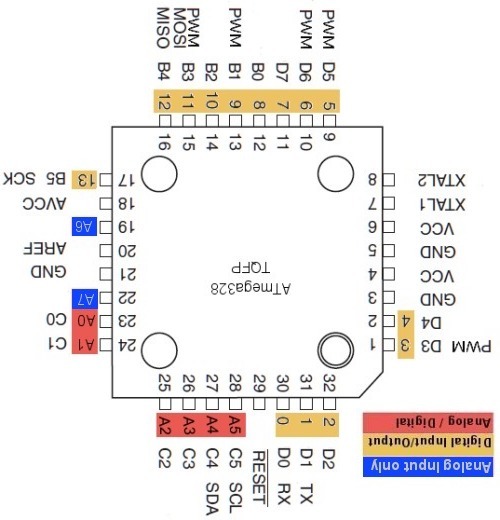 This one: “ARDUINO_ISP” is for the atmega part doing all the work (ie. 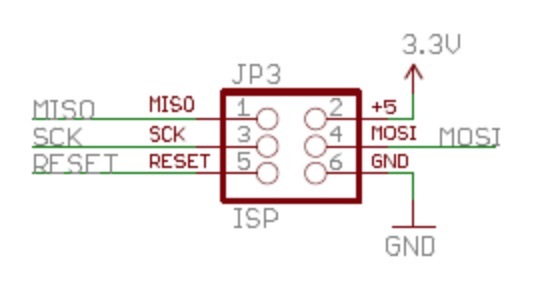 the “arduino”) - you shouldn’t need these pins as the part can be programmed via the USB interface. 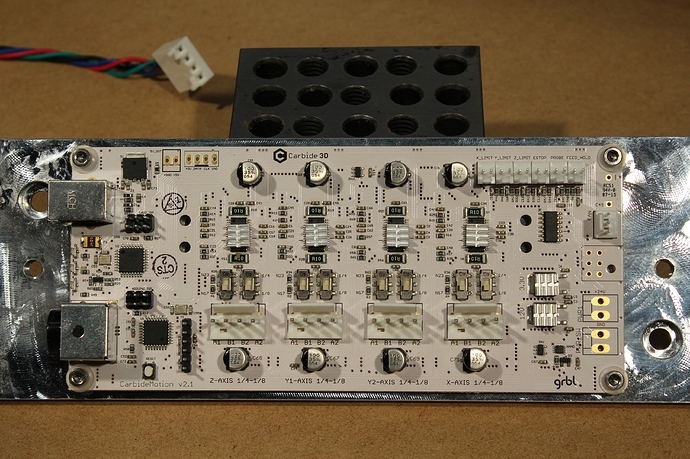 The old boards have switches for microstepping. The new ones don’t. This board has emergency stop pins. A3, which is coolant enable, has a via labeled “A3” over by the cpu (the atmega328 QFP toward the bottom of the board). I don’t know anyone doing gcode controlled coolant, so that’s interesting to be pulled out like that. 3.The 2 pins above the “spindle connector” are for an unneeded fan. The 4 pins below it are for aux 24v input power like on the white 2.1 board. @WillAdams I did find that resource, and the schematics on the Sparkfun website, but since my understanding of electronics is veeeery shallow it wasn’t, uh, helpful to me. @mikep That is a lot of good info. I will incorporate the relevant information into my v2.3 schematic.